The Rondi’s Window red rubber stamp will quickly become a favourite in your stash. The faceted gems, flowers are geometric shapes come together and create a mesmerizing mandala style kaleidoscope background. Perfect for colouring with all your favourite mediums. Heat emboss this beautiful design and use your favourite mediums for a colourful background. 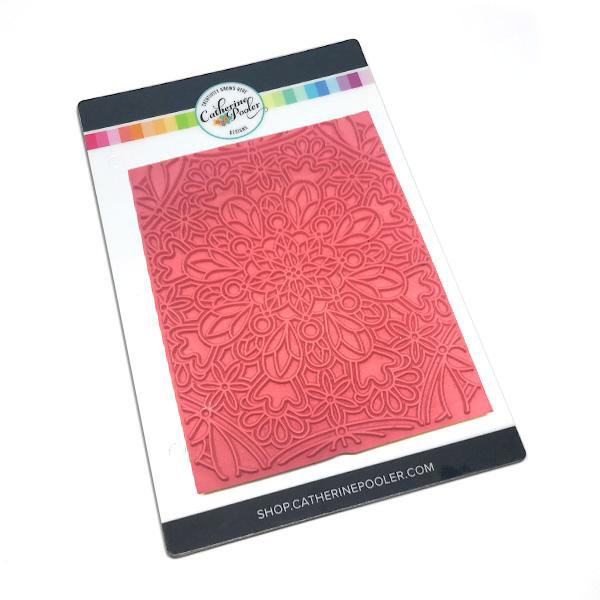 You’ll love the variety of patterns that come to life with this red rubber stamp set. The stamp measures 4-3/8 x 5-5/8”.